Stream anime episodes online for free, Watch Mobile Suit Gundam 00 Season 2: Episode 10 English version online and free episodes. 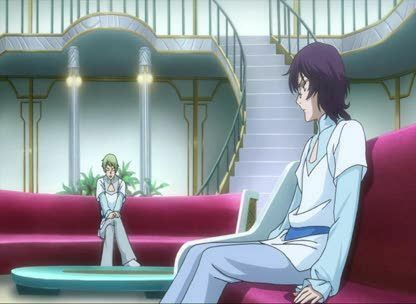 Anime Episode guide, Chapter Mobile Suit Gundam 00 Season 2: Episode 10 English dubbed Light of Heaven.Surviving Katharon members plan for negotiations with the Suille Kingdom, the only country in the Middle East with considerable military power and willingness to oppose the A-Laws. Meanwhile, Sumeragi leads Celestial Being in returning back to their asteroid base, where Setsuna retrieves the 0-Raiser. A subsequent test run of combining 00 Gundam’s Twin Drive System with its Trans-Am System reveals the true potential of the unit, surpassing even Celestial Being’s predicted theoretical limits of the unit.